It's always up to Rin to explain what the point of each particular Fate story is. Shoot the big yellow thing out of the sky by the end of the season. Got it. There she is. Fate's BEST GIRL. 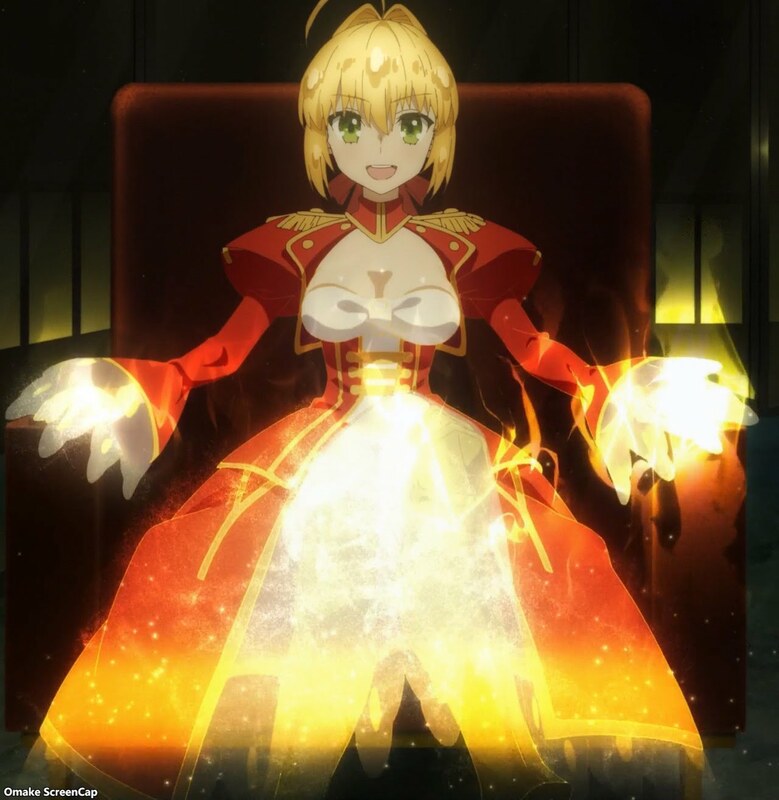 Nero says, "umu." Rin's charging up for close quarters battle mage action. How else to take out three Berserker class Servants? So Francis Drake wasn't just slumming it as a bartender in this town. She was Shinji's actual Servant. Look! Kissing! I mean, mana transfer through direct contact... without all the usual nervousness, anxiety, and blushing. Francis Drake figured out she faced a Saber class Servant she couldn't handle. See you again when this whole Grail system gets fixed. 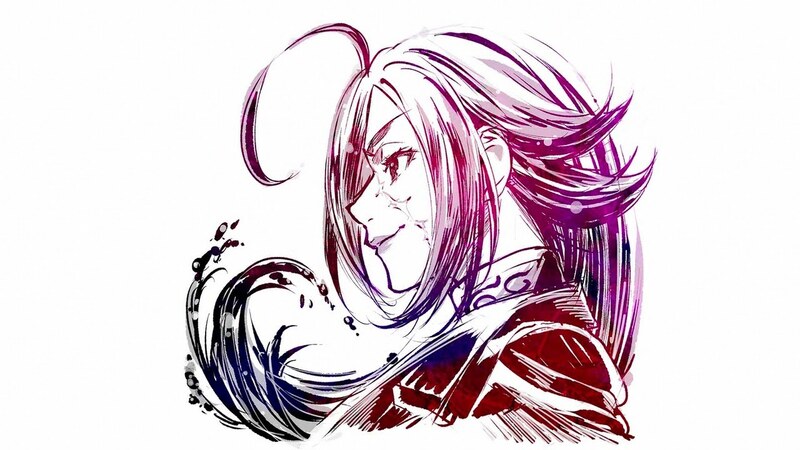 Francis Drake got her turn for the end card.